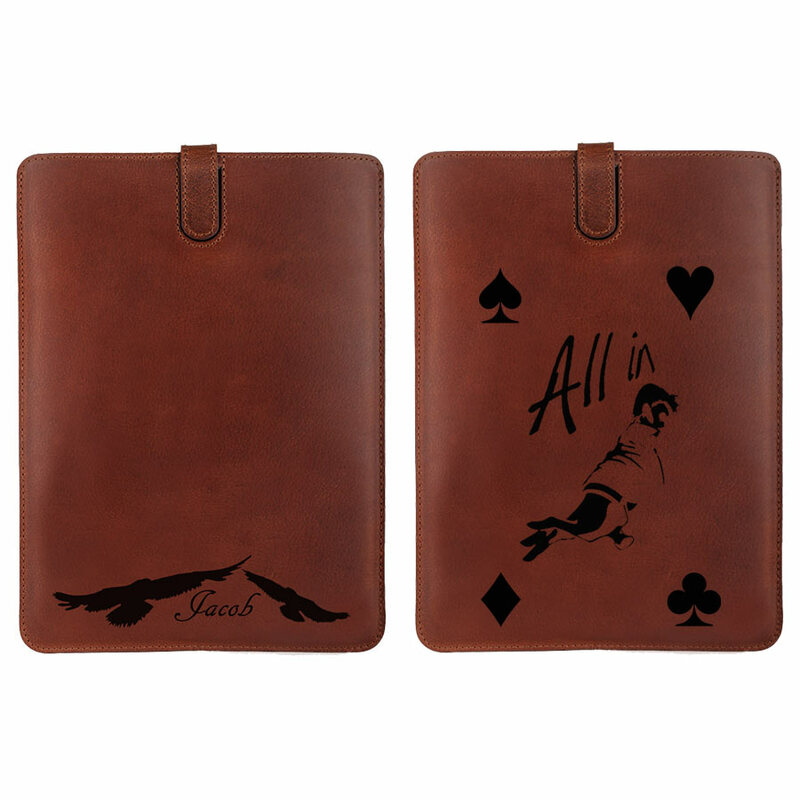 Walk around in style with a custom leather case for your iPad Mini. A photo or design engraved in high quality buffalo leather. Suitable for the iPad Mini 1, 2 and 3. 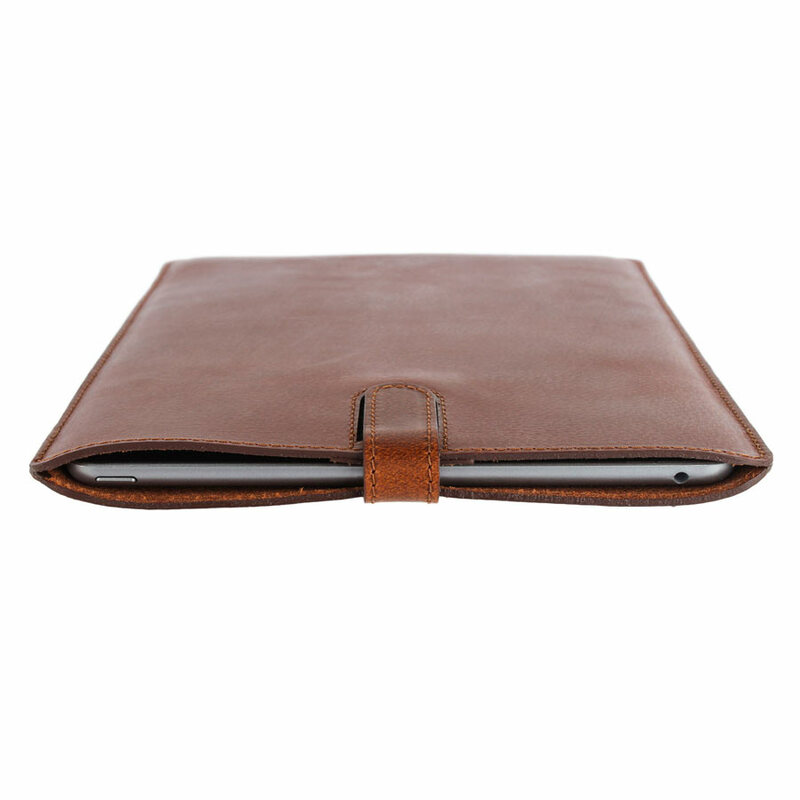 A unique leather case for your iPad Mini! This unique leather case is a one of a kind at GoCustomized. It is a high quality sleeve which protectes your iPad mini from all nature, and your clumsyness can throw at it. In addition to being a great protective case, the case can be engraved with your personal design. This element adds a whole new dimension to an otherwise common case. 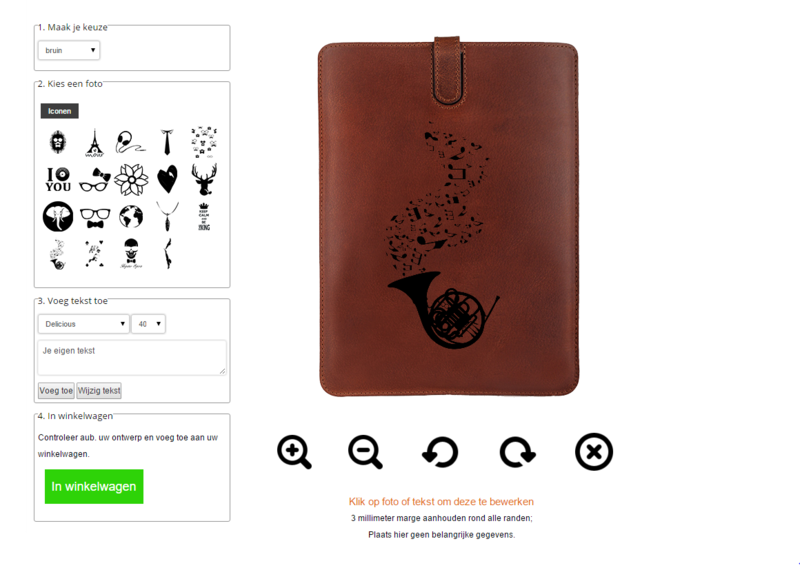 There are certain prints you can choose from in addtion to using any text of your choosing. With this case you will not be able to upload your own image files like all our other cases. This is simply due to the complexity of the production technique. How do you an engraved case? As mentioned earlier, the iPad Mini engraved leather case does not allow you to upload your own image files. You can however pick from a wide selection of icons and prints. In addition you can add as much text as you like using our text module. For this particular case you will not be able to select a colour for the text as it is engraved and not printed. Should you have any questions regarding this case, please contact us at any time. When can I expect my case? Once you are finished with your design, your order will be checked to ensure it fits our capabilties. Once this is complete, your order will be produced and on its way to you within 24 hours. Our average delivery time is 5-7 working days. Should you have any questions regarding your order, please contact us at any time at support@gocustomized.co.uk.